In the sport of spring turkey hunting, there are plenty of branded mass-produced calls to use and pull a longbeard into shotgun range. In most turkey hunting circles, these inexpensive calls are the mainstay and can be found tucked away inside any given turkey vest on any given day. But for hunters wanting to move up to another level in terms of calls and calling, there are a number of custom-call options on the market. While these calls are expensive and not always available on demand, they bring tradition and some of the sport's sweetest sounds to the woods each spring. 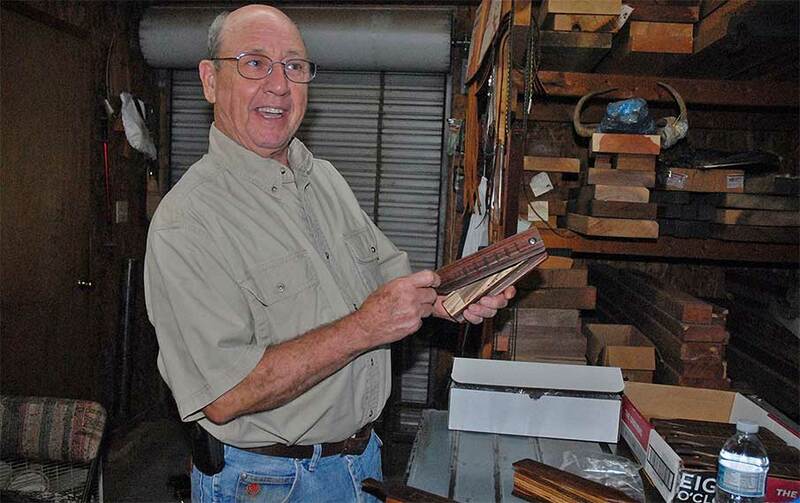 More than a quarter century ago, southern gentleman Lamar Williams began to make handmade custom turkey calls in a shop behind his Starke, Fla., home (904-964-5691). In the course of making his original Widow Maker box calls (highly collectible calls these days), Williams met the late and legendary turkey-call maker Neil Cost at a call show, eventually becoming one of his best friends. So much so when Cost's health began to fail, he summoned Williams to his Greenwood, S.C., home. Why? 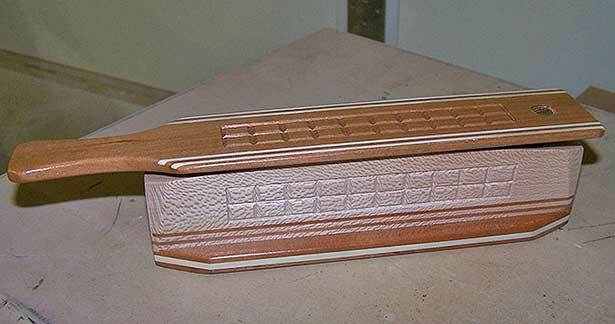 To pass on the mantle of his box-call-making skills and style to Williams, even down to the distinct carved checkering. Today, years after Cost passed away in 2002 following a long battle with emphysema, Williams' double-sided box calls are thought by many to be the best in the business, made from a solid block of wood that has been drilled, hewed by hand and tuned to the voice of the wild turkey. When a Williams call is delivered to the front door, a buyer will find an American black walnut lid and bottom with a hand-picked wooden box sandwiched in between for the walls of the call (current choices include poplar, Honduras mahogany, red cedar and black walnut). So meticulous is the craftsmanship on these calls – Williams spends hours trying to obtain the desired tone and pitch of a wild turkey hen – a call will go into the scrap bucket if he isn't pleased with it. If Williams isn't pleased with the call, then it doesn't leave his shop no matter how long he has worked on it. If he's that particular about pulling the sound of a wild turkey hen out of a wooden box call (along with the paddle calls Williams also makes), odds are, you'll be more than happy with running one of his calls when trying to fill a tom turkey tag. 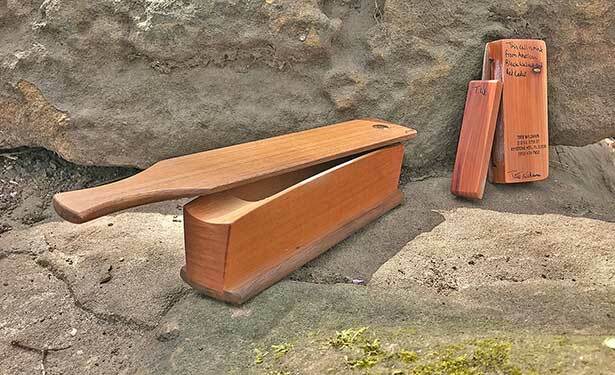 Be forewarned, however, if you want a Lamar Williams box call or paddle call – complete with his signature and description of the call on the bottom – then you'd better get in line. His waiting list is long and a prospective buyer is looking at a solid year, or longer, of waiting. But it's worth the wait because the turkey music from a Lamar Williams box call is simply that good. If the last name sounds familiar, well, it should be. Because Tate Williams, a college student in his 20s, is a chip off the old block, learning the call-making craft from his grandfather, Lamar. 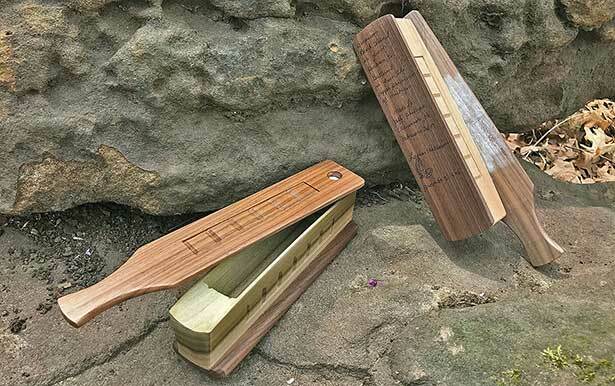 Right now, the younger Williams (order Tate's calls through his grandfather's shop at 904-964-5691) has developed quite a following for the superb sounding scratch-box calls he has made for several years. And more recently, the grandson is making some superb double-sided box calls, wooden works of art on par in terms of the wild turkey music and craftsmanship like his grandfather’s calls. Want some advice? Don't waste any time getting on Lamar's waiting list. While you're at it, place an order for one of Tate's box calls too. Several years ago, while turkey hunting in the southeastern part of the U.S., a hunter in the camp I was at came out one evening and handed me a custom made box call I had never heard of before. Beautifully constructed of Zebrawood, the box was a Paul's Call (www.paulscalls.com; 601-737-5911) custom call made by Collinsville, Miss., call maker Albert Paul. Stroking the lid, a burst of sweet gobbler getting music poured out, leading me to conclude I was operating a call a cut above what I had sitting in my vest. That's understandable since Paul also was coached and instructed in the turkey-call-making art by the legendary Neil Cost himself. Today, after having made a strong name for his own brand of calls, Paul constructs his box calls in several different grades that utilize various woods (black walnut, butternut, bald cypress, sassafras, juniper, aspen, mulberry, Zebrawood, persimmon and maple among others). Depending on the model ordered, a Paul's call also can feature things like inlays, checked sides, a signature and even original painted artwork of a longbeard's head. Steve Mann (www.mannmadeturkeycalls.com; 864-993-5512) actually lives in Greenwood, S.C., where Cost made his home, hunting with and learning his call-making skills from Neil in the 1990s. Today, Mann produces his own high-quality Mann Made box calls and paddle calls in several different grades and varieties of wood (current woods used include Honduras mahogany, black walnut, cypress, yellow poplar, red cedar and butternut). But as with the other calls listed above, do note the simple desire to purchase a Mann's call – from the Old Hen box call to the Parquet Match Design call to the Signature Series – must be tempered with a degree of patience. Because like the other turkey-call makers listed above, a fair waiting period will be endured between ordering a Steve Mann call and actually running one in the woods. 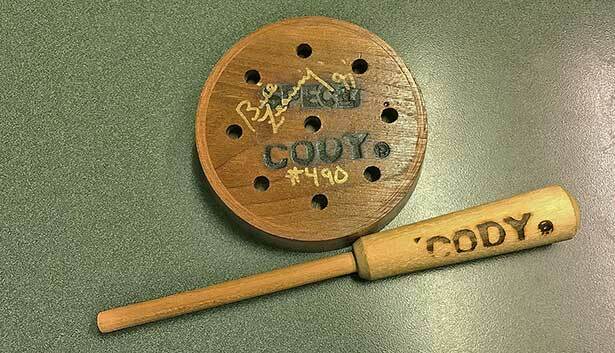 If the above calls represent some of the best box calls available to turkey hunters, perhaps the best pot-style friction turkey call is the Cody Turkey Calls Spec I (www.codyturkeycalls.com; 717-362-8413) pioneered by Pennsylvania turkey-call maker Bill Zearing. As the story goes, Zearing began perfecting his call's sounding board in the late 1980s, eventually building the Spec I model in 1991. Introduced to the public a couple of years later, the call is a single-glass or slate sounding board set in a laminated wood pot. When coupled with a heavy hickory striker, the call has become the go-to pot-style call for many guides, hunters and competition callers across the country. In fact, even all these years later, the Spec I – and its off-shoots, the Cody World Class and the Spec I Legend – are still built by hand and remain very much in demand. Like the others, don't expect to pick up the phone and order one with overnight delivery because generally speaking, this Cody turkey call isn't available immediately upon request. And perhaps that's the lasting lesson here; in order to have the best wooden instruments to make some of the finest turkey music in the springtime woods, it will take some time. But then again, most of the best things in life do.